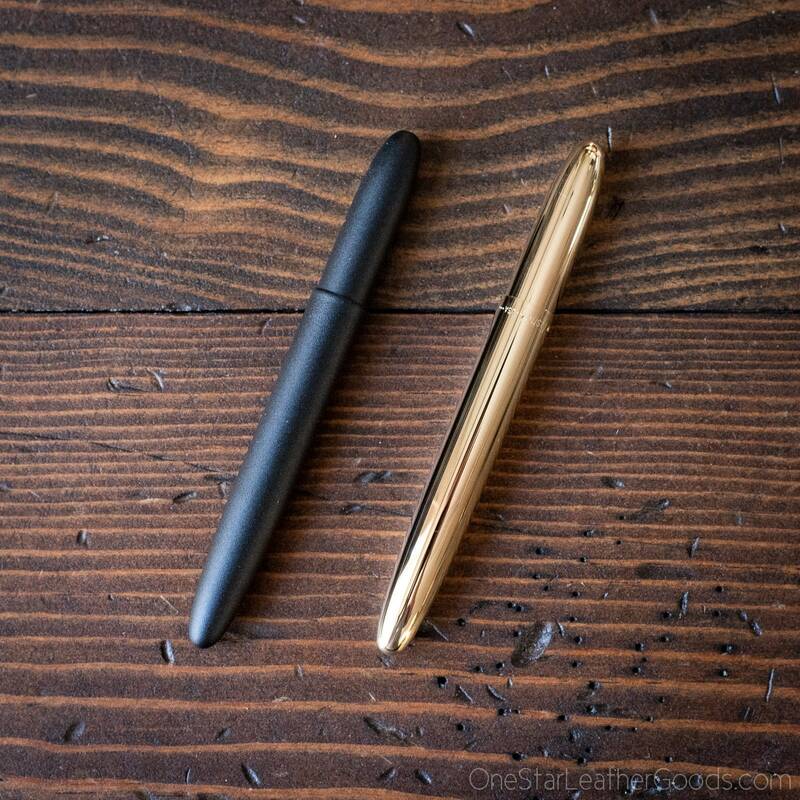 This fits the EDC-1 as well as the Park Sloper Junior with the "Bullet" sized pen sleeve. 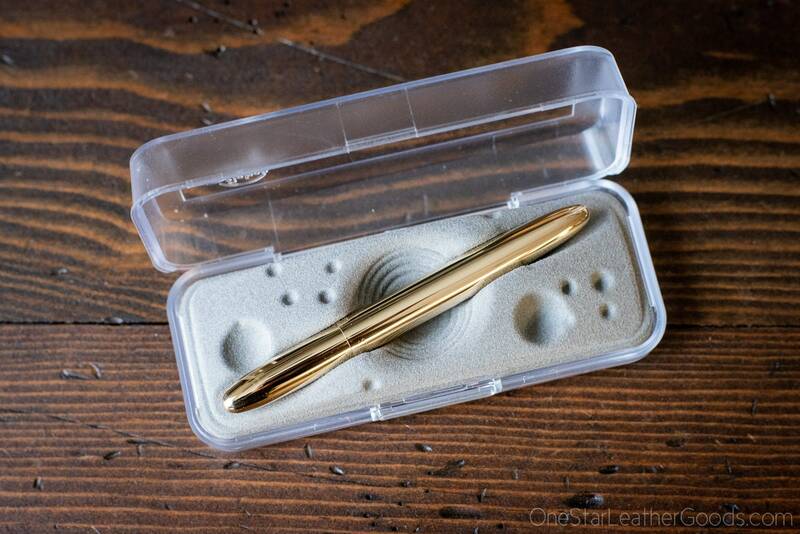 This is an incredibly design, it deploys quickly and carries easily in a pocket. 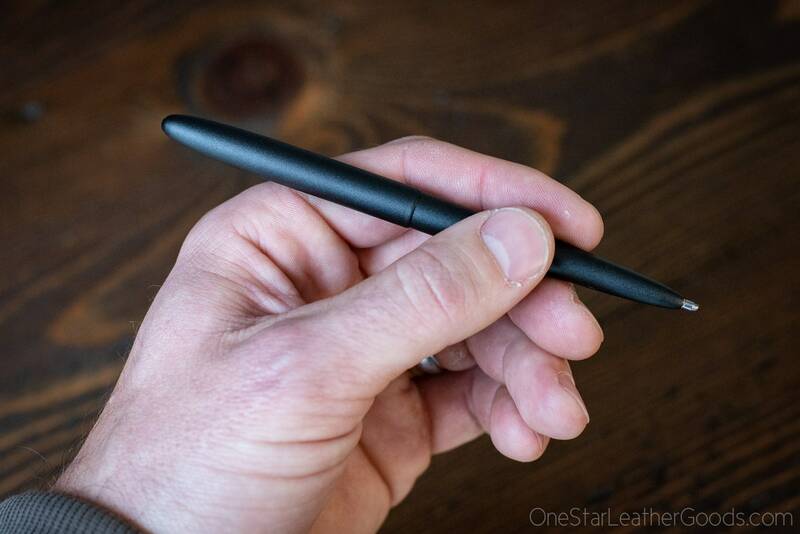 It uses the durable, pressurized Space Pen refills that write upside down and under water. 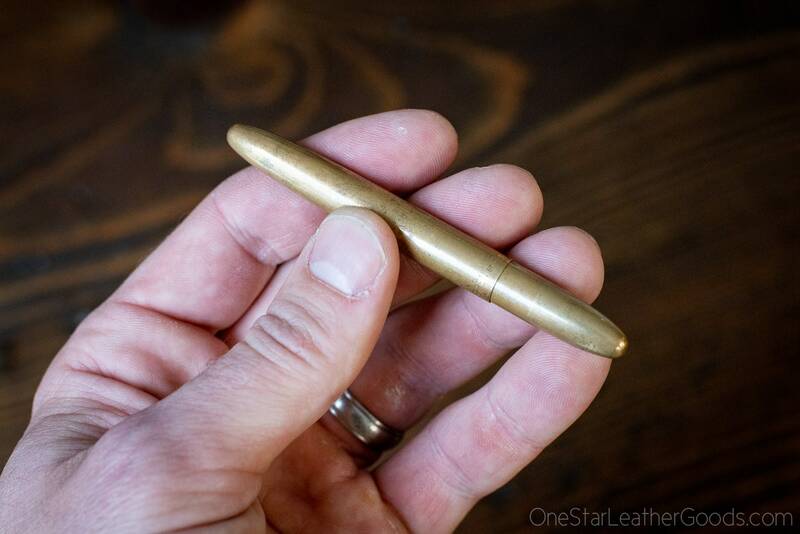 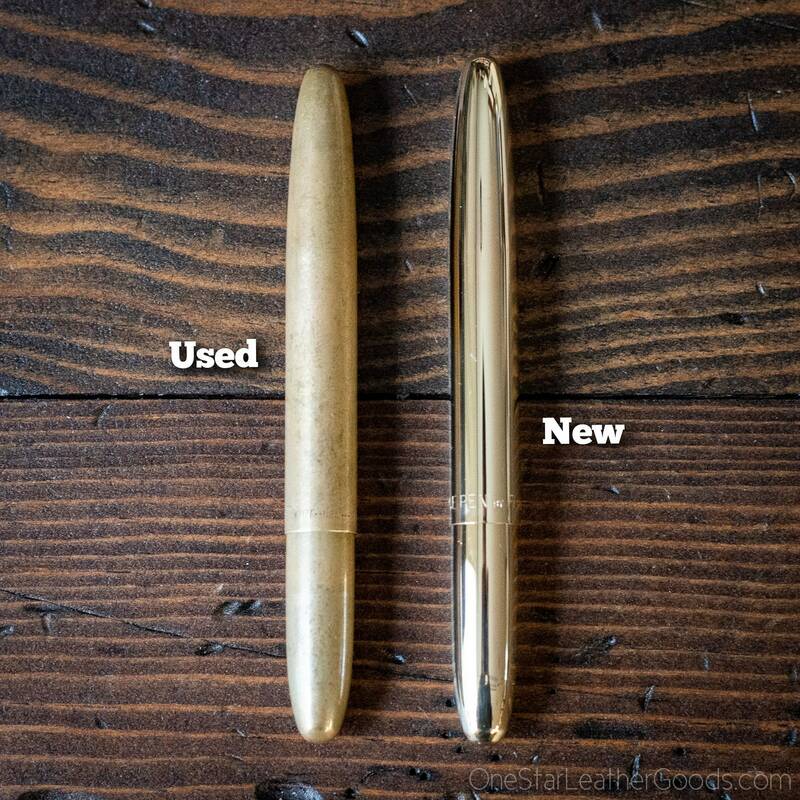 This is one of the most popular pocket pens in existence. 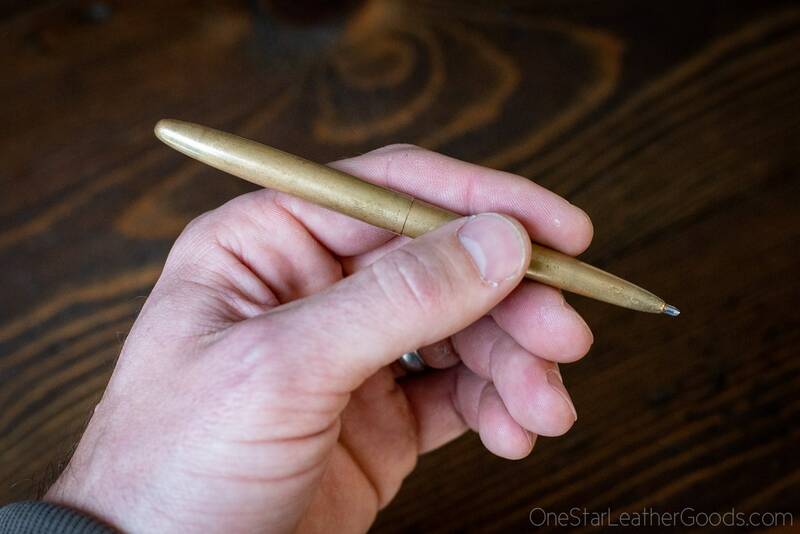 The brass will patina quickly to a dull finish.